Replacement front doors can provide a whole new look to the front of your home, add a desired amount of light to the interior, and supply energy savings and increased safety, as well. A variety of styles and sizes are available with and without windows, in a range of materials from wood to fiberglass and steel, depending on your needs. An estimate and consultation with Marc Cowan will help you choose the best front door or entry door solution for your home. What a pleasure it is to be able to look through a sliding patio door and bring the outside in! 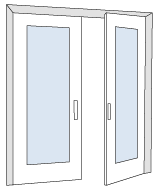 New, better fitting patio doors with strong, easy gliding screens, will boost your enjoyment of your home and enhance your sense of spaciousness. They’ll pay for themselves through easier maintenance, lower energy costs and the increased resale value of your home. With all the benefits you’ll see with our replacement patio doors, you’ll wonder why you waited! 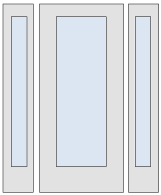 Need doors? Need help to choose which product is right for your home? Call Marc Cowan and request a home visit no-fee estimate. He’ll make the whole process easy for you. 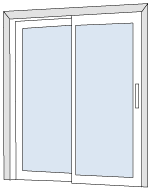 "Highland Windows installed two 9-foot-wide patio doors. The company was extremely professional right from the first encounter with business owner Marc. The installers were professional, very courteous, and very careful with our house."